Home / Blog / Senior Living 101 / What if Mom or Dad Doesn’t Want to Move to Senior Living? Change is challenging, especially as you age. Many of our parents have been in their own home for years, and the idea of this change in particular can cause anxiety and an abrupt objection. However, the best time to have the conversation with aging parents is before a crisis happens, so these changes can be made on their terms as much as possible. Here are some suggestions on how you can make the conversation easier. Where Do You Start? Small! 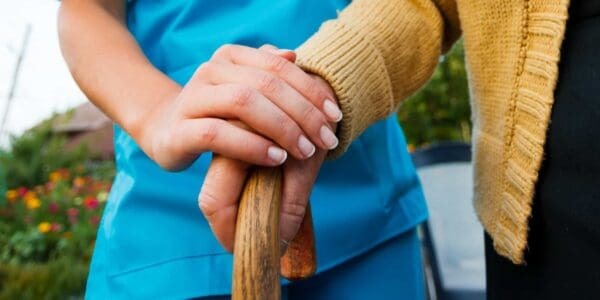 One of the biggest reasons the idea of moving to a senior living environment can be scary is that it is a huge change. Break down the thought process, and you’ll be sure to see better results. Start with a simple question like, “What are your biggest daily struggles?” Ask them how you can help. Focus on the little things that are making life at home less-than ideal. Don’t forget who’s boss! Few people respond well when someone starts a tough conversation with commands like, “You need to …” or “You should ….”. Remember that they still see themselves as your parent; you are their child, no matter how old you are. If the conversation is going well, great! Consider moving to next steps. But, if you are starting the conversation early enough, you can ‘plant the seed’ by discussing needs and short-comings of home life. Then, after your parent has had time to think about it and even experience these short-comings more, re-approach the conversation. Unless there is an immediate need or you are concerned that your parents are not safe, the slower approach can yield more success. Take it To the Next Step – What’s the Cost? So your parents have warmed to the idea. Now it’s time to talk about their home in the context of real-estate. Ask if they’ve thought about selling their home and using the equity to move into a place that would be more comfortable and lower maintenance. This is how they can fix the problems you discussed before. If they’re open to considering a sale, there are lots of great resources where you can help them understand what their home may be worth. Consider looking at home estimates on websites like Zillow, Trulia, or Realtor.com. This is also a great opportunity to do a cost comparison of life at home versus life at a Senior Living community. The difference may surprise you! With your parents’ help, list their home-related expenses like as utilities, property taxes, insurance, maintenance and repairs. Comparing this list to the cost of senior living, which is typically inclusive of all of these things, and it’s hard to argue with the data; Senior Living is a smart choice! If you can show your parents that selling their home and moving into a full-service senior living community will, ultimately, save them money, that may help ease their anxieties. Grab bars in bathrooms – which hurt re-sale! Medical alert or security alarms – monthly subscriptions add up, and fees associated with their help can escalate quickly! Outside ramps, if stairs become difficult to navigate – this also can hurt re-sale. Perhaps you don’t have the luxury of an early conversation, and your your parents are in danger of falling or you have serious concerns about their abilities to care for themselves. It may be time to enlist the help of third-party professionals. If costs are still an objection, an accountant or financial advisor can help them understand the costs and expenses associated with aging in place versus selling their home and using the equity to enjoy the rest of their lives in a senior living community. Sometimes, hearing this from someone that isn’t their child is all it takes! You care for your parents, and likely already know their healthcare professionals. Ask their doctor to talk to your parents about their long-term needs and what to expect if they have medical conditions that may come with mobility or memory issues. They’ve trusted their doctor for quite some time, so they may place more trust in the doctor’s assessment of their need for change than yours. Don’t forget to ask a friend! You may have friends whose parents have sold their homes and moved to senior living communities, so ask how it went and what they did. Invite them to share their stories. And don’t forget your parents’ own friends who may have also transitioned to Senior Living. Sometimes hearing someone else’s story about making such a big change so late in life can be comforting. Sometimes, the best way to overcome objections is to see life at a community for yourself! Visiting a community will show them what a ‘day in the life’ is really like. They may even encounter an old friend who’s living there now, showing them the chance of renewed friendships, and even the ability to make new ones too. Plan to tour a few communities. To ensure your parent sees as much as they can, arrange to visit during active times, or maybe even stop in for lunch. Knowing the community serves delicious food surely will go a long way in persuading your parent to move! Be prepared for each tour with a list of questions and a checklist of features to evaluate. You can use our handy tool to compare. Talk to the community’s staff about costs and what the living fees include. Your parents may be pleasantly surprised at all the amenities and perks that come with senior living. Get a medical alert system. Look for a system that has a fall alert sensor. New technologies you may already have in your home can also help your parents. Explore options with smart speakers from Amazon Echo, and Google Home. These devices have apps that can help seniors with things like medication reminders, daily routines, turning off and on lights and calling friends and family. List all medications. Write down all medications, both prescribed and over-the-counter, including dosages, prescribing doctor and frequency and put the list in a place where your parents and you can easily access it. Ensure you have the list backed up in case it gets misplaced, or you need it quickly in an emergency. Plan to check-in on your parents more regularly. Consider planning a daily call with them. And when you do speak with them, pay attention to how they’re speaking. Have they repeated the same story over and over? Can they follow their train of thought? Are they slurring? Changes like these can indicate health problems and should be addressed. We’re here to help! 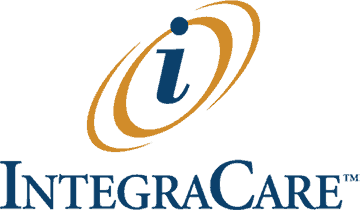 Use our community locator to find an IntegraCare community in your neighborhood. Browse the photos, read the descriptions, and bookmark your favorites. Schedule an appointment to meet with the staff and talk through your parents’ concerns. We may have some suggestions tailored to your parents’ needs that you haven’t thought of, or didn’t know was available. We look forward to serving you!